We were rushing up in the mountains to reach the "Princess of Hill station" nestled among forest. 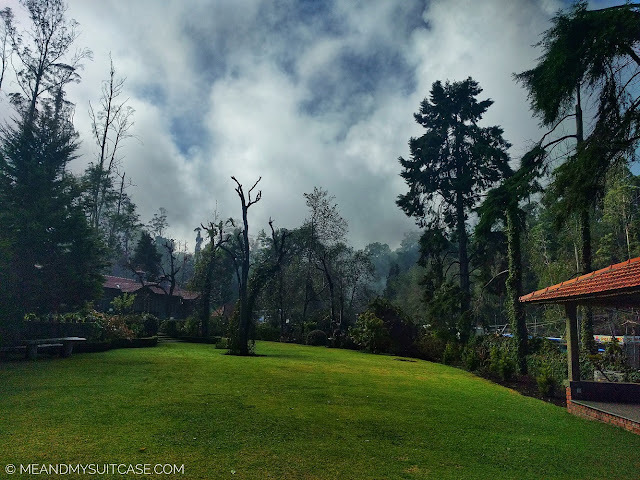 Hugging clouds, watching the transition through the day, I was excited to reach my abode for three days, Kodaikanal. Chilly evening, clean & smooth roads, hairpin bends and an impeccable view at every turn (In the 180 km drive from Coimbatore to Kodaikanal, 50 km is the hill ride with 21 hairpin bends) kept us intrigued throughout our journey. Although January is an off season, but for my love of winters and mountains compelled me to take this journey. 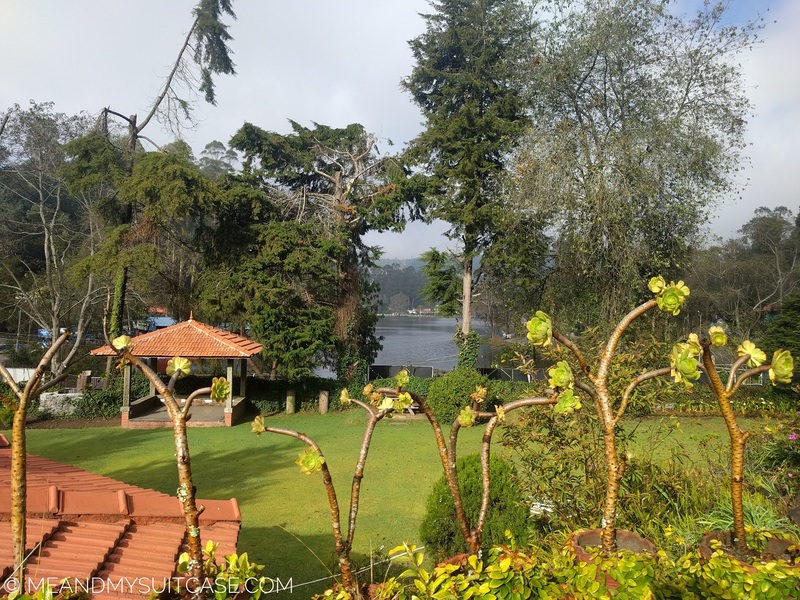 During my research on places to stay in Kodaikanal, I came across many properties; hotels and homestays both, but what caught my attention was this exclusive & luxury homestay, MistyCove. 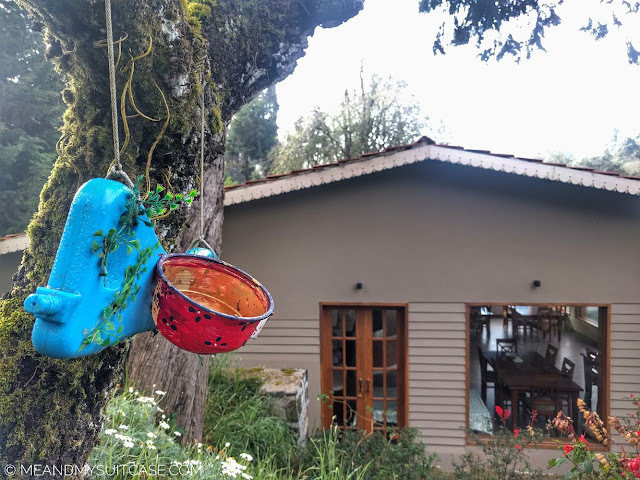 It is an amazing property with 7 beautiful cottages (Six - 2 bed room, hall and one - 3 bed room hall), dining hall, staff and servant quarters which is spread across three acres of lush green garden with beautiful views of tall eucalyptus trees and Kodaikanal lake right in front. 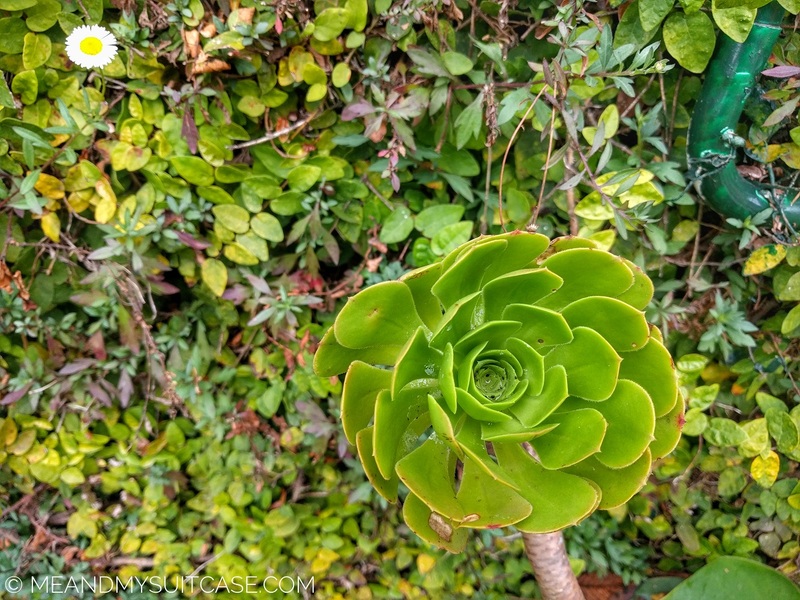 The garden has wooden benches, a bonfire place and variety of flora. In the backyard they have an amazingly done green bed of grass with a few trees in between which serve as an abode for many birds in the area. As the name suggests, mornings and evening are misty, so are the afternoons when winter is at its peak. 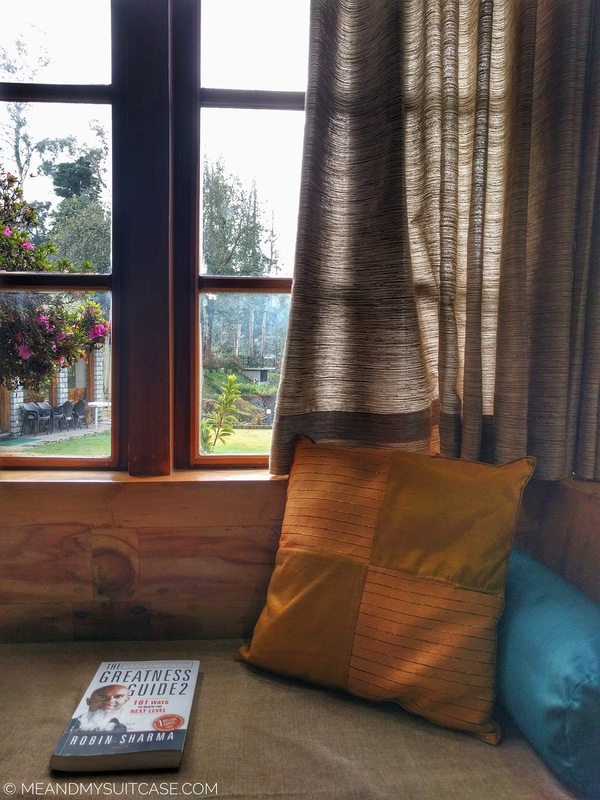 Waking up to misty mornings and sleeping late to the heat from the fireplace was a welcoming change from my routine in Mumbai. Mistycove is a 75 years old property with a mysterious, old charm to it. The wooden flooring and colonial architecture of the property made in stones and bricks on the outside gives it a bewitching glow. 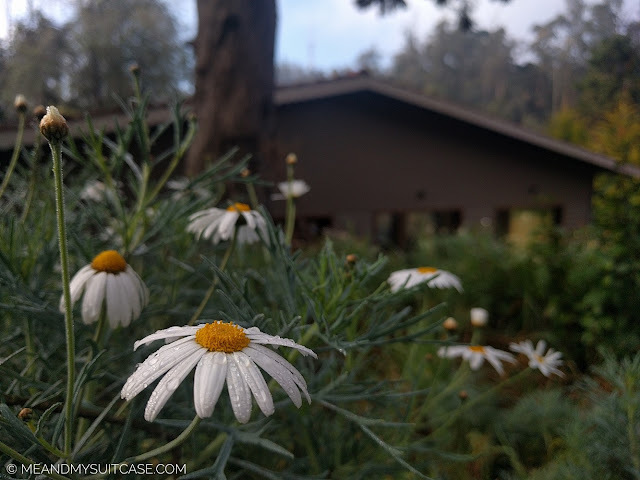 Being in the heart of Kodaikanal and since it is a small city, everything from Mistycove was nearby, be it interesting spots or foodie lanes which can be easily covered on foot or just on a bicycle. I loved my lazy walks from Mistycove to foodie lanes in the evening after day tours to Mannavanur and Berijam forest on first two days. Third day went in some shopping and again hogging on homemade chocolates and some coffee. However, there are a few spots which are 30 to 40 km away from the city, and if you are interested the tour can be arranged by Mistycove as well. The hospitality is impeccable. The owner of the property, Mr Vaibhav is very kind and helpful, he not only helped me plan the itinerary but also suggested eateries, shopping options, the tour, in fact he even made sure that we get a good driver and would check on us every evening if we reached back on time or not since we were only two girls. Unfortunately I could not meet him since he was out of the city. But his staff at the property made sure that we are taken care of as a family. His staff comprise of Mr. Ganesh (cook), Mr. Shanmugam (caretaker) and the cleaning staff. To our surprise, Ms Vijaya who's the wife of caretaker cooked us a great Tamil lunch one afternoon. It was truly a scrumptious delight. 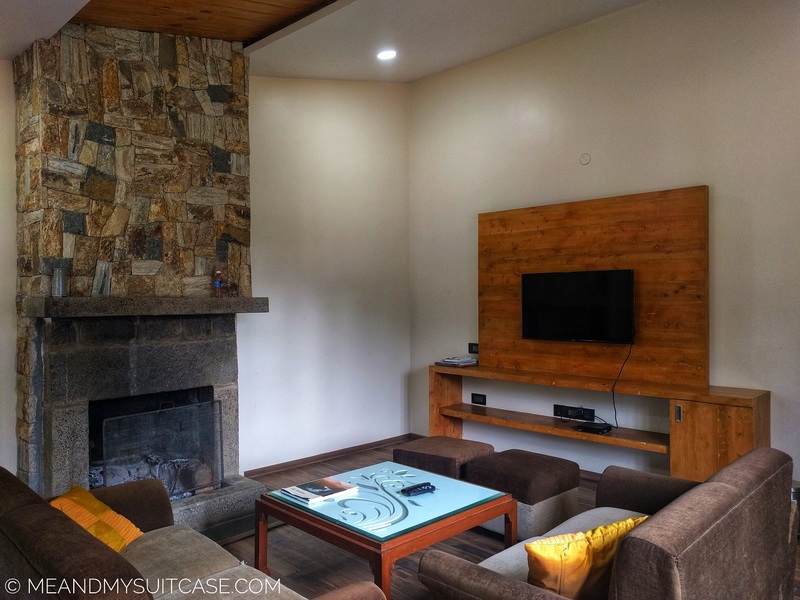 Spacious, comfortable, minimal furniture, neat and clean interiors. Whatever we had was full of love and taste. I couldn't ask for a better stay. It didn't just came with attached bathrooms (one per room) but a mesmerizing view as well. Mistycove is both a romantic getaway and a place to spend time at with family and friends. In case you need any help with bookings or need any further information, you can email me any time, go to contact page for details. 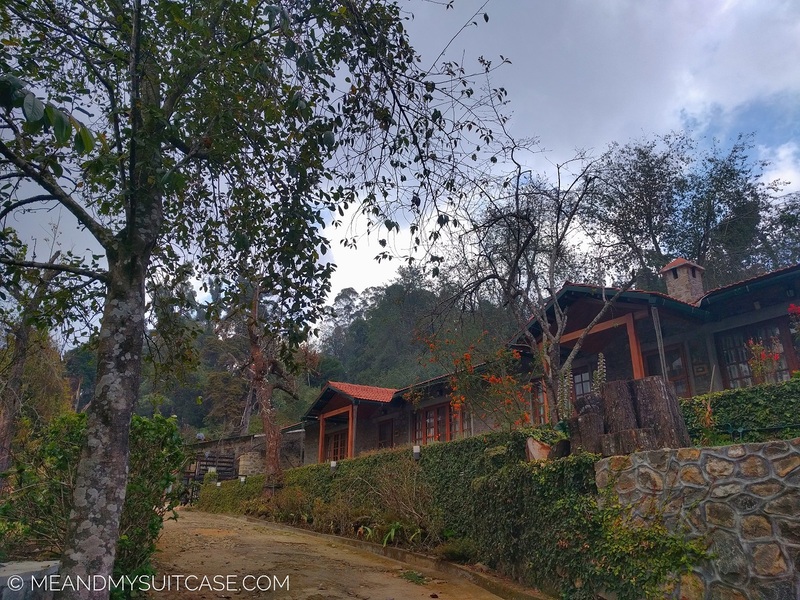 An outing to Berijam forest, spending some time at mystifying Guna caves, enchanting Pine forest and gazing curiously at Pillar peak. If time permits and you are a science lover, pay a visit to the observatory which is also the Indian Institute of Astrophysics. A detailed blog on my trip to follow soon. Stay tuned. All pictures are taken by me unless otherwise mentioned. I was hosted by Mistycove but review and views are mine and in no way influenced by any third party. This place looks absolutely enchanting. I guess January turned out to be rather great a month to visit. The pictures look gorgeous. I can imagine the excitement and adventure you would have experienced getting to Misty Cove. 21 hairpin bends along 50 km sounds like a lot of adrenaline rush!!! Yes indeed. Place is magical. I have been to Kodaikanal. It's a lovely place. Mistycove looks good. I would love to stay here with my family. You should. Its an amazing place to be with family and friends. I always love KodaiKanal for amazing nature. So much beauty and greenery with nice relaxation. I am convinced with your choice of stay here as it looks beautiful. I love the photos. Mistycove looks amazing and can see where it gets it name from. So many hairpin bends but worth the drive to arrive at such a beautiful place. What a great place. The 50km ride with 21 hairpin bends not my ideal road trip! Car sickness would have overwhelmed my daughter so its good to know in advance that the trip is windy. And I totally agree with you about winter travel, my favourite time of the year. Just makes everything so dreamy and the tranquil walks all the more lovely. Looks like you were well taken care of! If you have taken the right amount food and keep sipping little water it shouldn't be of much problem ..Its worth a try. We went to kodai three years ago n loved it. So tempted to plan another trip there. The place looks beautiful. 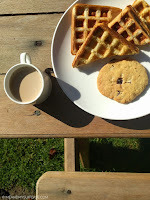 Thanks for the suggestion and as usual it's a great post! The place looks lovely and Tamil food is yummmm - I am a big fan of the food. 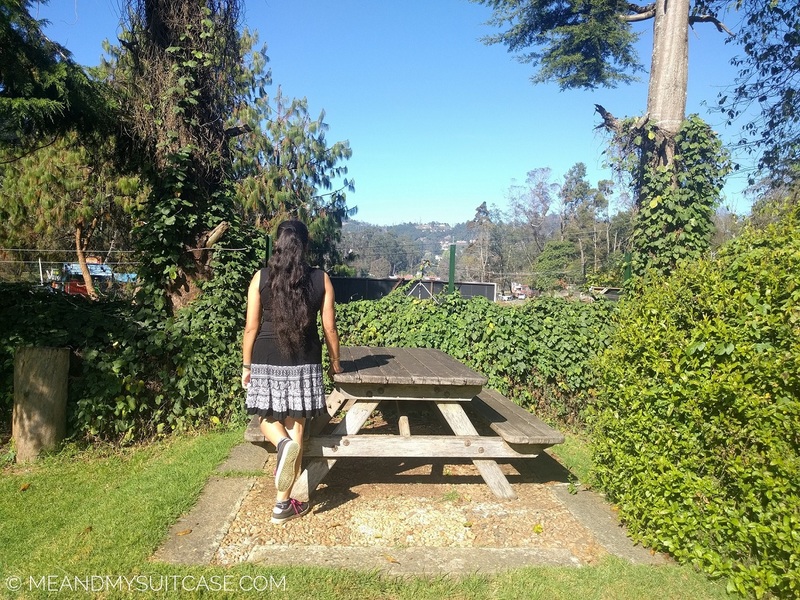 Kodaikanal is a peaceful retreat and I have been planning to visit it since long. It would be great if I can get to this place and stay at the Misty Cove, and have a beautiful experience similar to yours. I may be needing car sick pills for those curvy roads but it looks all worthwhile in the end! - Misty Cove looks very welcoming and the home cooked lunch must be fantastically delicious. One needs to be pampered while on holiday and this looks to be just the place for it. Oh ..I don't think that would be required. Just have right amount food before starting the journey and keep sipping little water.. I wonder why people tend to avoid hill stations in winters. It's good though. You have the entire town to yourself mostly and can click such beautiful pics. This brings back memories of my childhood where as family vacations we booked chalets or bungalows up the hill for some cooling days away from the heat. It looks like Mistycove lives up to its name with misty mornings - and it looks very cosy too. I think its great to go during off season where you get the peace of the area around you. For me the highlight is the delicious looking lunch you got to eat. all in all a five-star getaway! 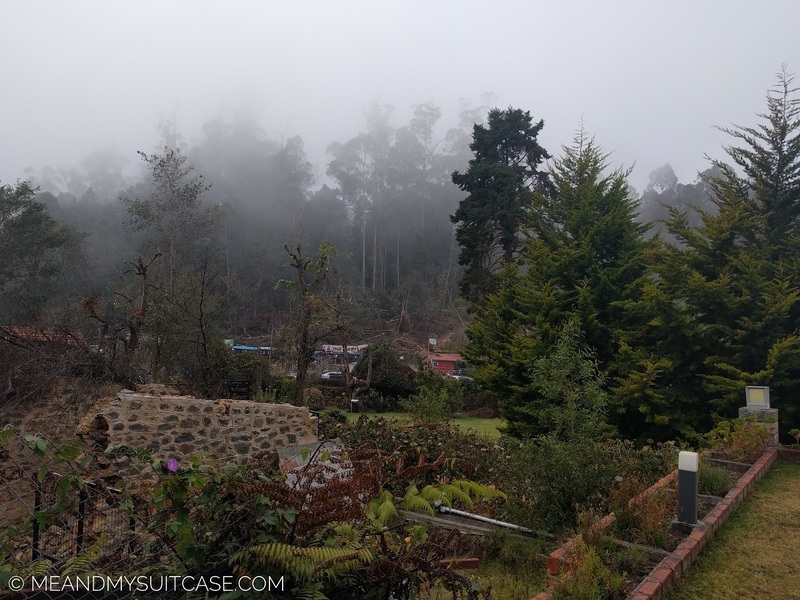 Never heard of Kodaikanal before, but now you've made me want to visit! This place looks beautiful, such stunning views it looks really peaceful. It sounds like the staff really took care of you! Yes, thank you. 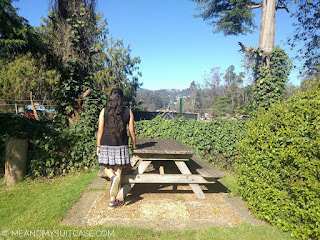 I am glad that I could entice you to visit Kodaikanal. I had visited Kodaikanal when I was 15! I have vague memories of the place. The Mistycove looks like a great place to stay in beautiful Kodaikanal. I would definitely love to stay here the next time I visit Kodai.